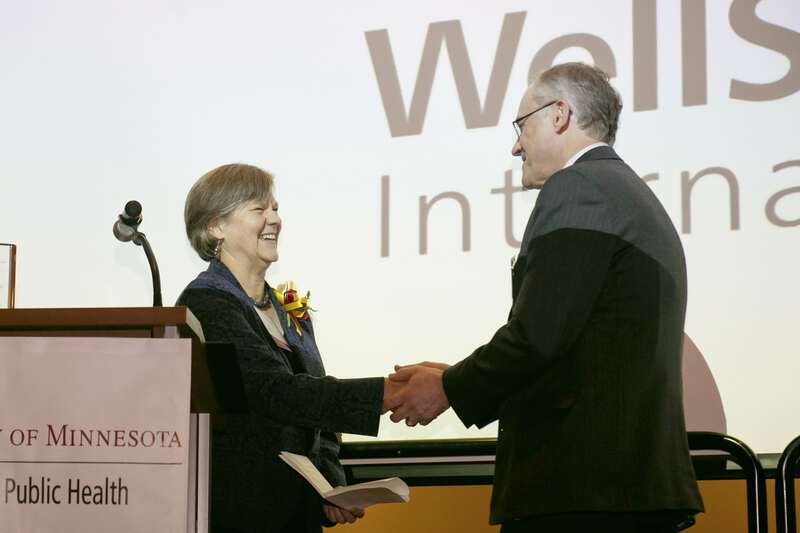 On October 22, the University of Minnesota School of Public Health honored WellShare International and other health professionals and organizations at their annual Community Partners Celebration. 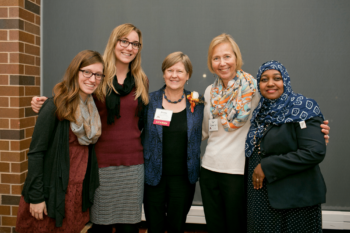 The event celebrated the recipients of the school’s Community Partner Awards, which recognize health-focused organizations in Minnesota and abroad for their work with students and professors at the School of Public Health. Executive Director Diana DuBois accepts the 2015 Community Partner Award. WellShare received the Organization Award for its longstanding commitment to reducing health disparities at home in Minnesota and abroad. The School of Public Health recognized their past partnership with WellShare, one that aimed to implement initiatives focused on preventing tobacco use and secondhand smoke exposure among immigrants and refugees in the Twin Cities. WellShare’s successful domestic programs, from their after-school programs that teach Somali youth about healthy living to their facilitation of the Minnesota Community Health Worker Peer Network, were also acknowledged at the ceremony. WellShare staff and board member at the Community Partners celebration. The Community Partner Awards honored WellShare alongside Minnesota public health institutions, such as Allina Health and the Phillips Eye Institute. Together, these organizations look forward to continued partnerships with the School of Public Health, and the future public health leaders who study there.